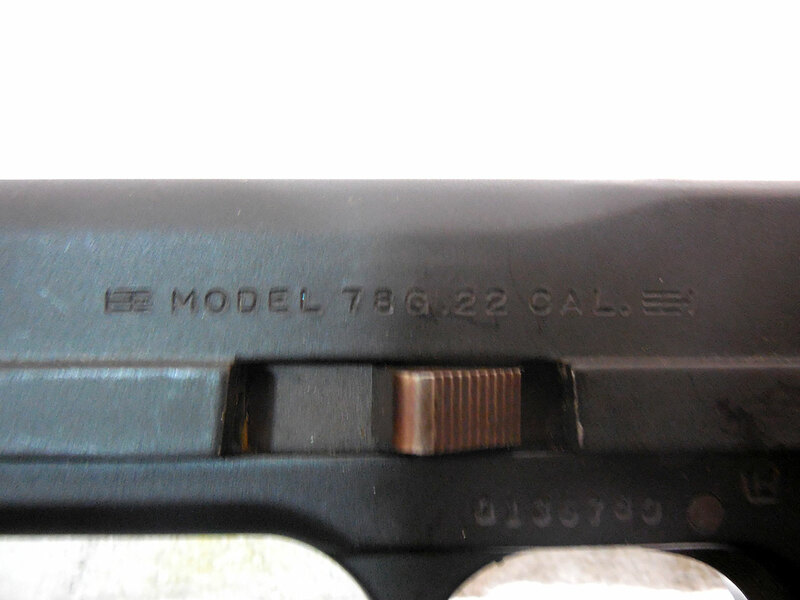 The Smith&Wesson 78G is a CO2 single-powelet .22 caliber pistol. 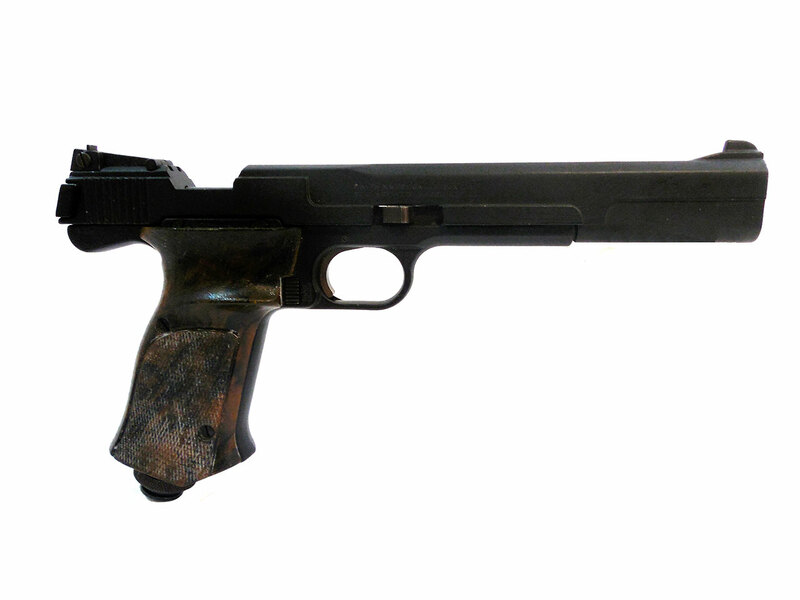 This single-shot pistol is a replica of the Smith&Wesson 41 semi-auto pistol. 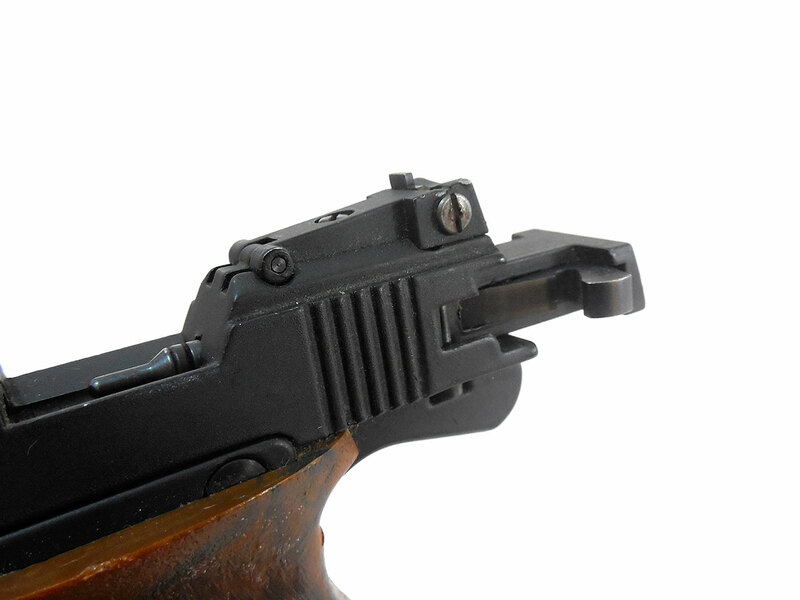 This gun does not work and it may not have all of its original parts. 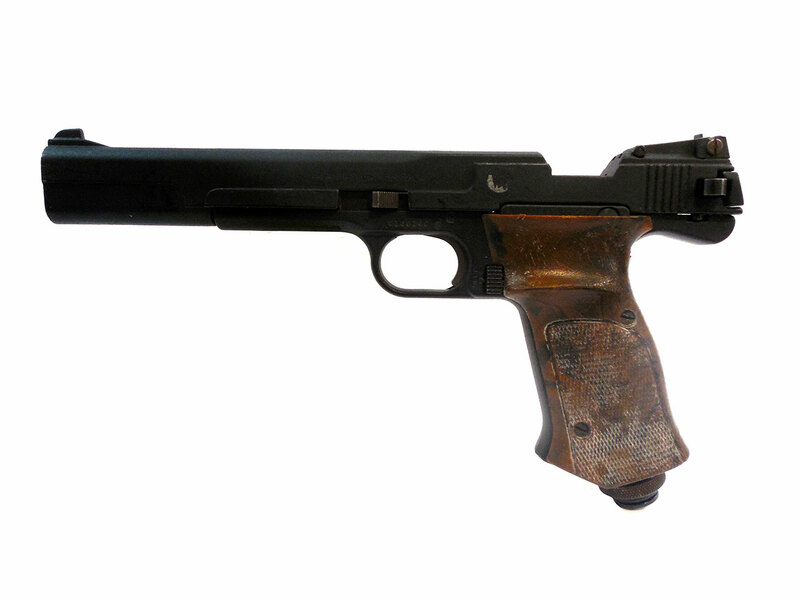 This pistol retains 98% of its original finish, also its plastic brown grips are in good condition, but have minor ware. 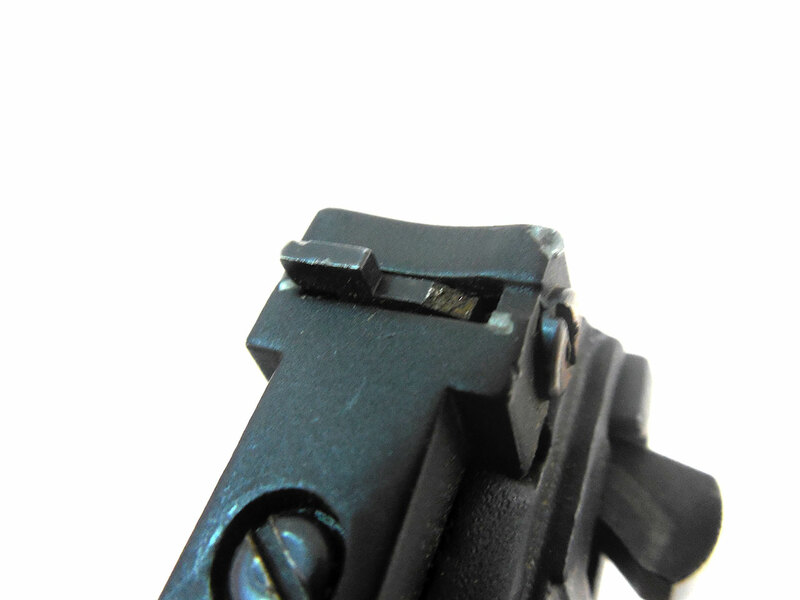 The adjustable rear sight is also broken.